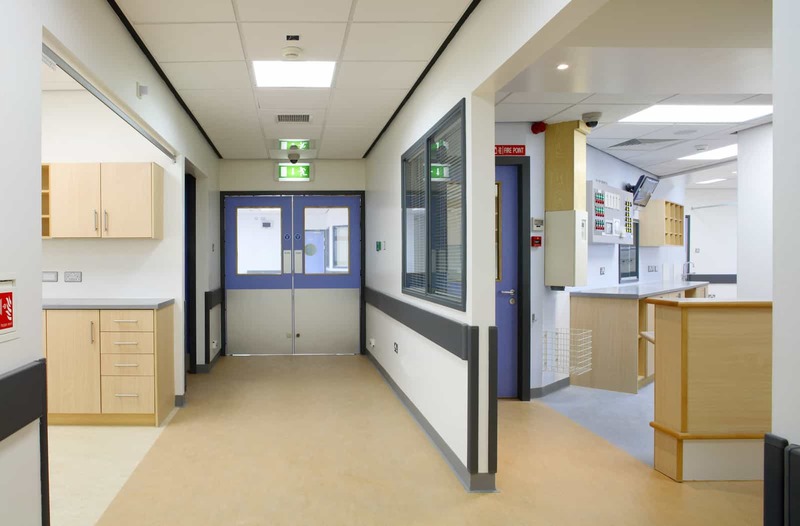 A&E Department at Portlaoise General Hospital – Duggan Brothers Ltd. 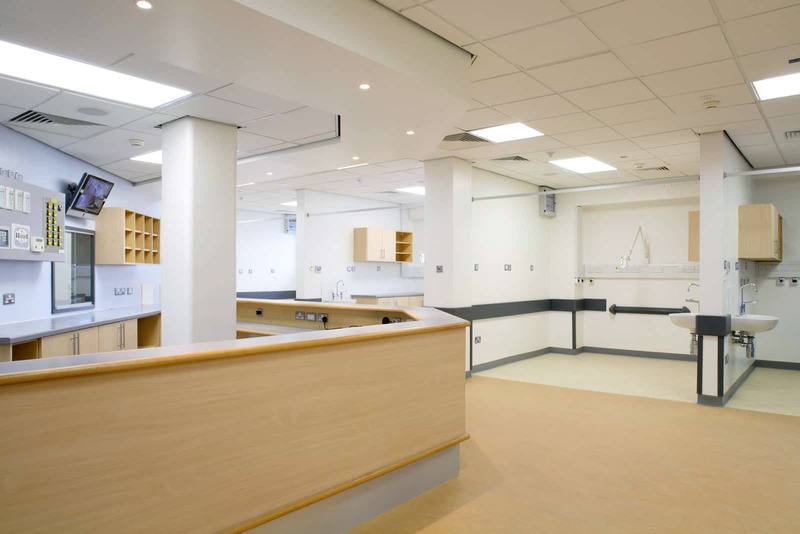 This project involved alterations to, and the fit-out including extensive mechanical and electrical installations of, the partially completed ground floor area within the existing building to form a new accident and emergency unit, complete with secure treatment area. This project also included associated site development works, consisting of the construction of an external retaining wall and a new set-down / parking area etc. 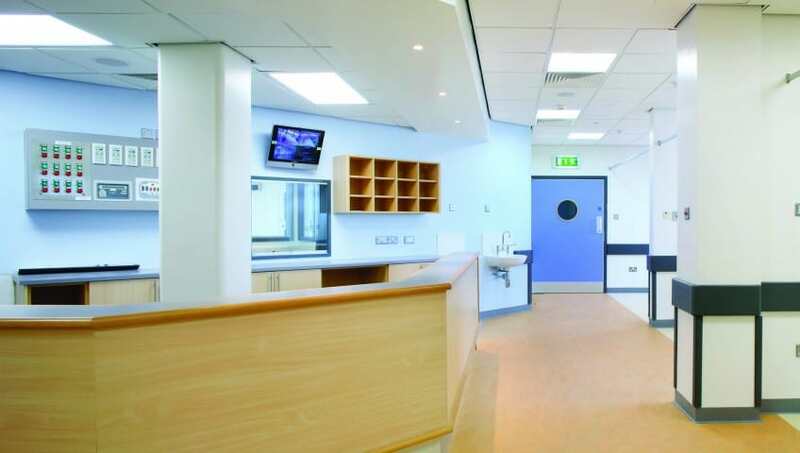 The entirety of the works was carried out in a live hospital environment without any disruption to its smooth operation. The project was completed on time and within budget.